We have plenty of Christmas ornaments from previous years such as baubles, tinsels, bells… and my mother in law gave us two more bags full. We don’t live in a castle or in a palace, we just live in a flat so there’s not much room for lots of stuff. Talking to a friend that just moved to a small apartment and has no room for a conventional tree, decided to surf the internet and see some options. Some of them involved wood (which I have tons) but had to drill the wall to hang some parts, so I needed to think about something could be easily moved. 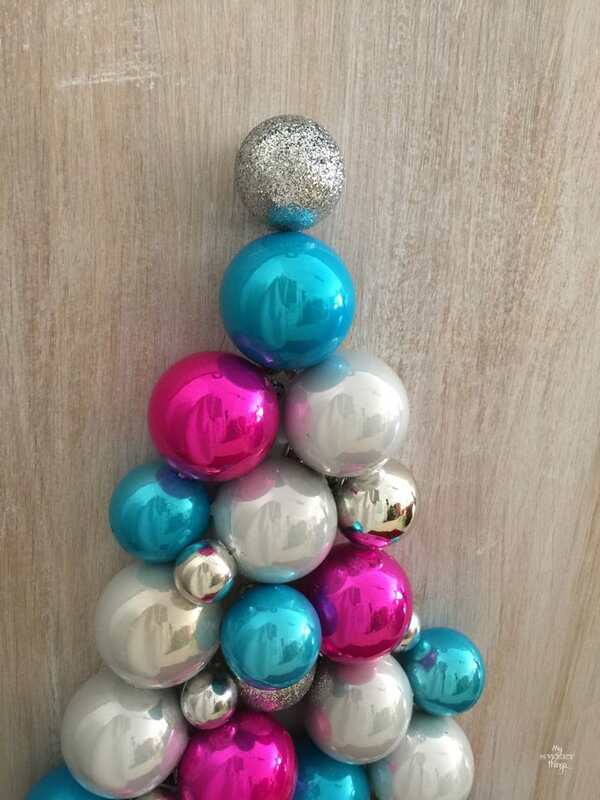 Having tons of baubles everywhere in my house I thought, why not to do a Christmas baubles tree?! Yes!! 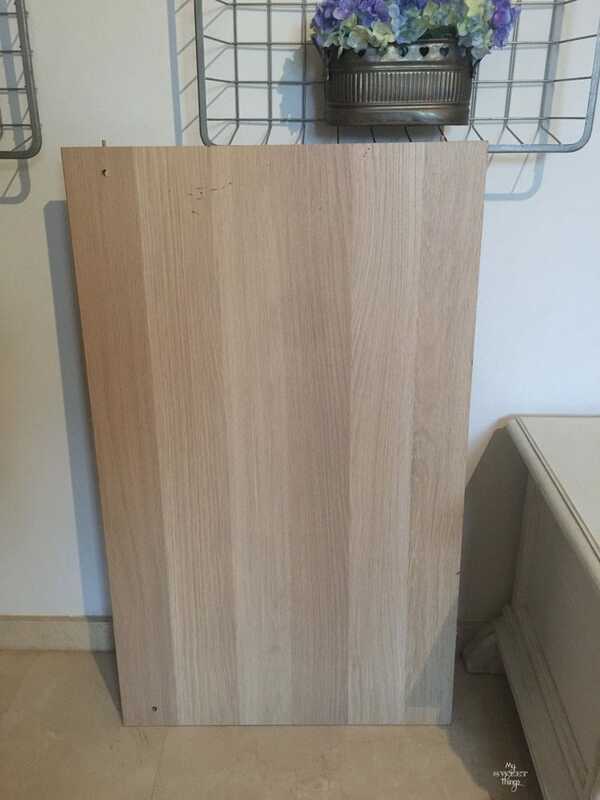 I took a piece of wood I found last week next to the dumpster which I collected on daylight, call me brave ;-). 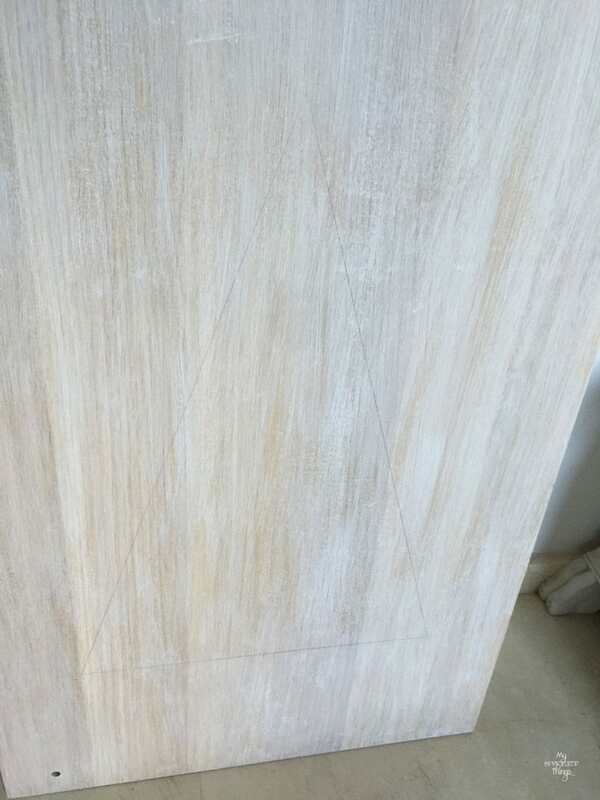 It was laminate wood, nothing special, but it would be enough for the project. I watered some white paint and gave it one light coat. My daughters were as excited as me so while they were helping me we did some maths. We traced a triangle. It was time to take the baubles out!! 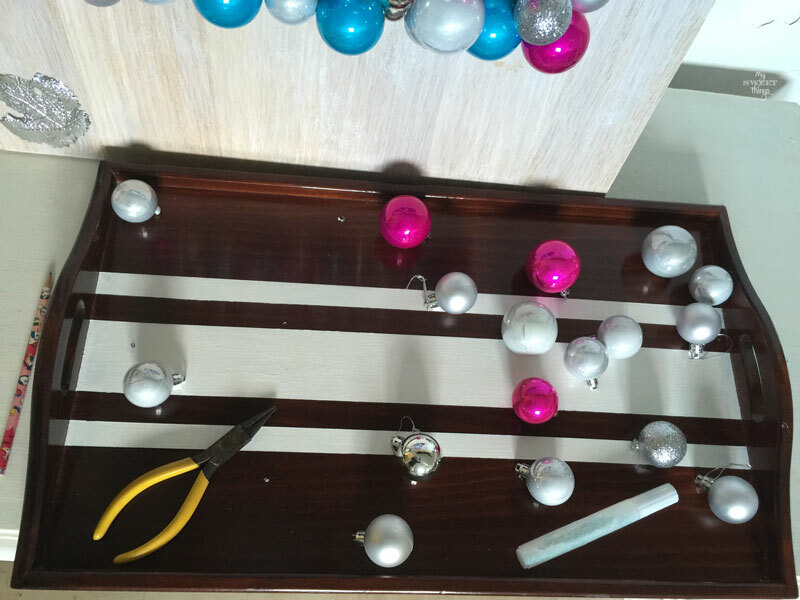 They kept bringing more and more baubles… and cutting the thread. I began hot gluing from the top, and adding little ones on the existing gaps. We also found that removing the caps made it easier to fit all of them. Miss A also lent me her white glitter glue to add some sparkle to the wood. You know I’m trying to improve my photograph skills… I promise you it sparkles although you can’t see it! More baubles inside the lantern, I don’t lie!! 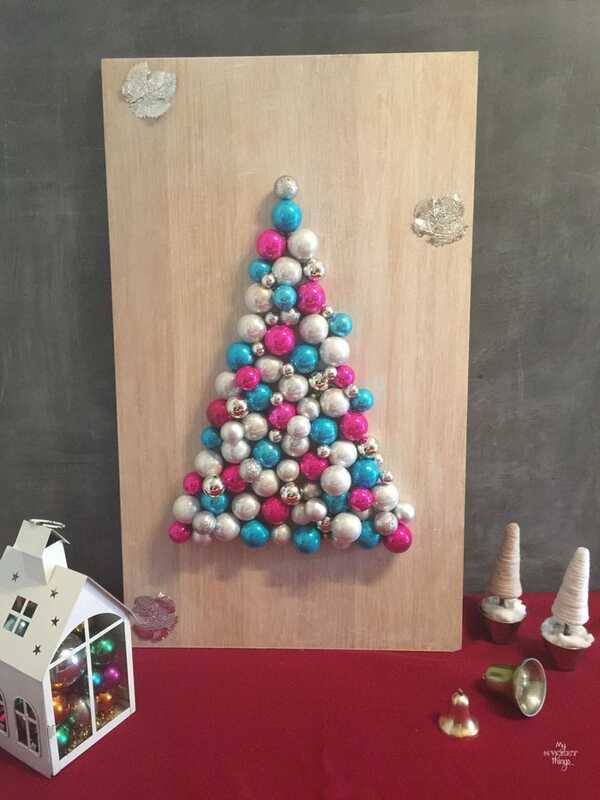 Do you have lots of ornaments around your home as well? Do you keep them for the next year or get rid of them? If you are interested in other projects you can see them here. 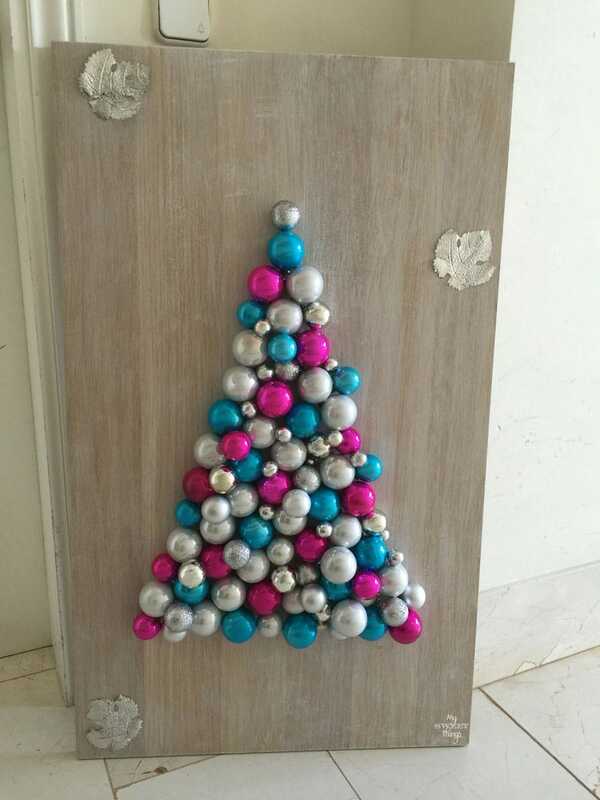 This entry was posted in Before & After, DIY and tagged Before & After, Christmas, Christmas Tree, DIY, home decor, wood. Yes!! We can’t say it is a coincidence, right? I’m sure it will look great, can’t wait to see yours! Thanks Keri!! With this, it was their first approach to a hot gun, under supervision of course! This is so great how come I never find out about your greaet stuff sooner? So very colorful and pretty. I like how you used all these different colored balls and different sizes too! 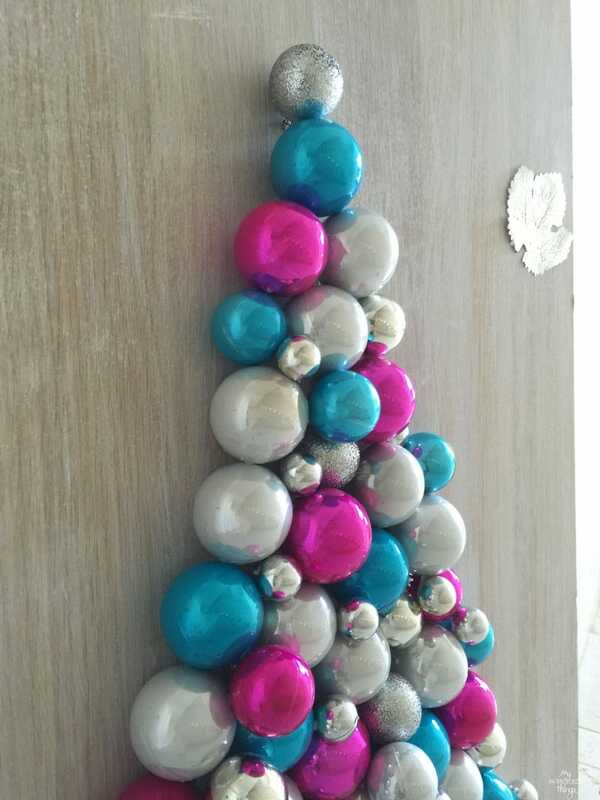 I do have so many ornaments, I could easily make one of these Pili. I love the idea and I think my girls would love it in their rooms!!! For sure, Katrin. Mine are asking me to move it into their room but that’s not a possibility, too many things there to add one more! Many thanks for stopping by, Sue. Happy Holidays and Merry Christmas!! There’s that cute tray again! 🙂 What a fun tree, I love the colors you chose. Merry Christmas for you too, AJ! I always appreciate your visit! This is SUCH a pretty idea! I love it! 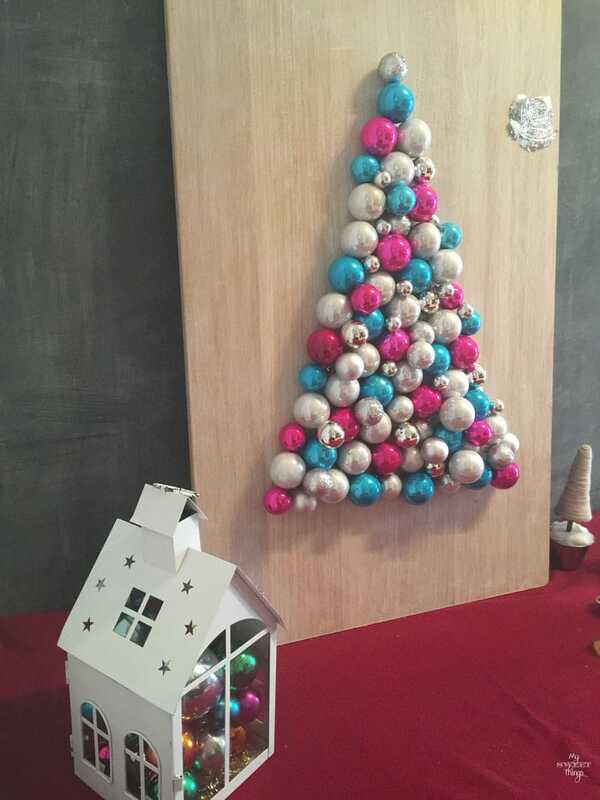 What a gorgeous craft which is perfect for Christmas. It would make quite the ceterpiece. Love it! Thanks for linking up to Marvelous Monday on Smart Party Planning. This will be featured next week! 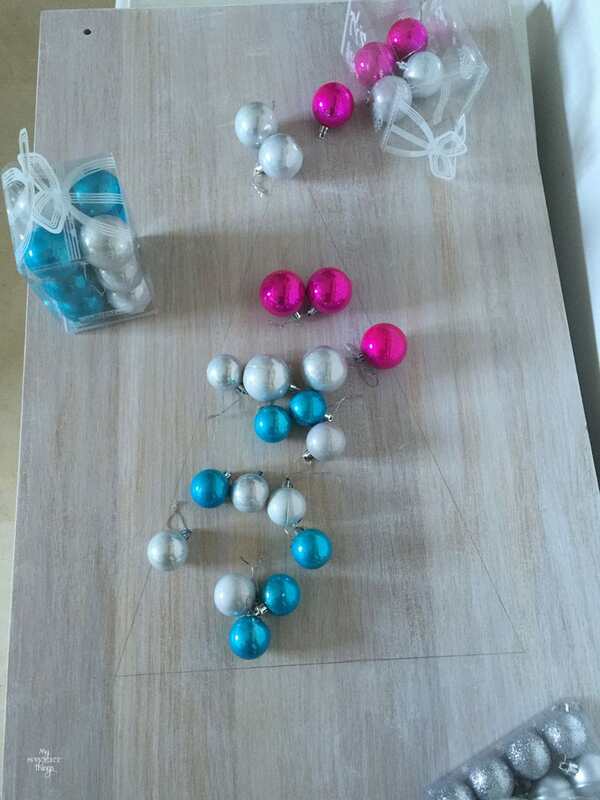 I had to do something with the huge amount of baubles we have! Thank you so much for the feature, Catherine!! Have a Merry Christmas! Thank you so much, Emily!! I’m glad you like it too! It turned out beautifully- and I love that color combo. Very vintage! 😀 Thanks for popping by Snickerdoodle Sunday- hope to see you again tomorrow! Thank you so much, Sadie! I love the color too, we wanted to keep it a bit homogeneous. Thanks for visiting, and Merry Christmas!! 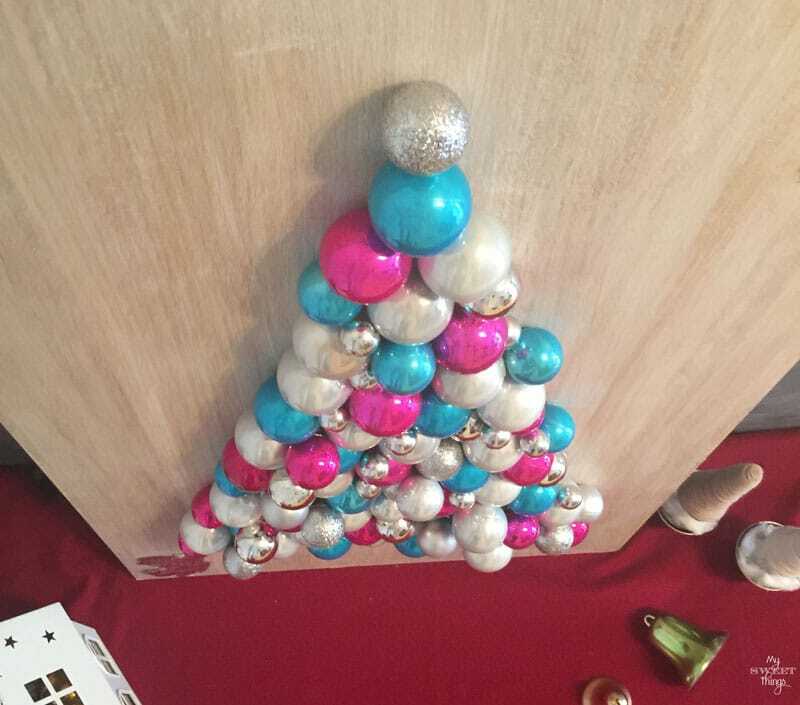 Your bauble tree is so pretty! What a great alternative to tree if you don’t have the space, it so much better!!! 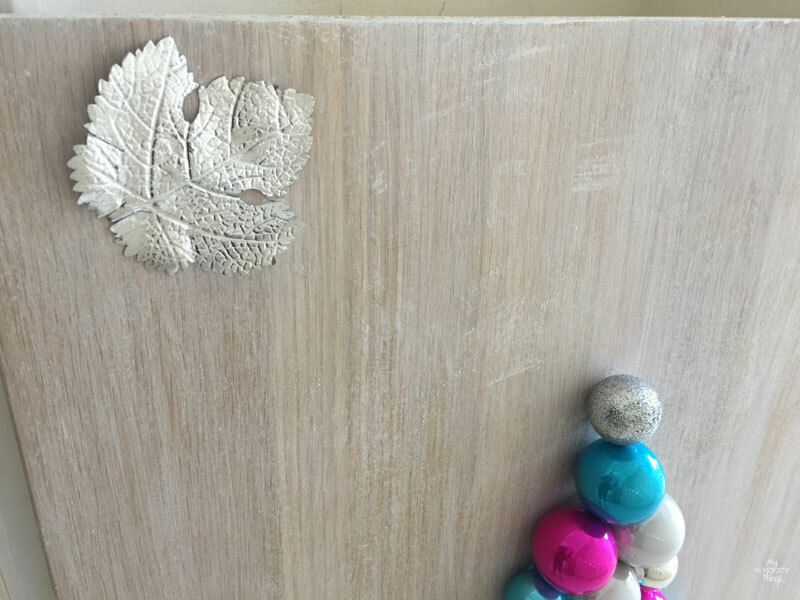 Thank you for sharing this at Welcome Home Wednesdays Linky Party! Many thanks, Tracy! 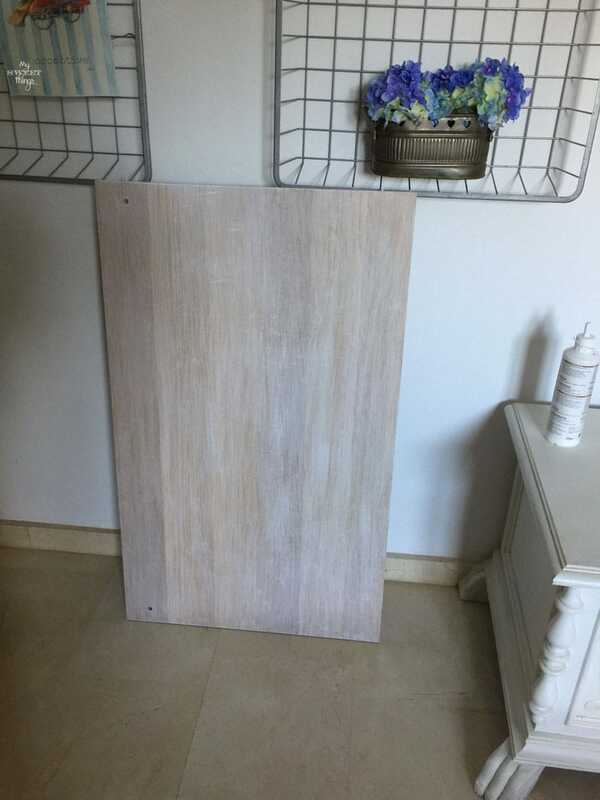 Yes, it would be perfect for a little apartment or even inside a store. Thanks for stopping by, Merry Christmas!! Good Morning!! 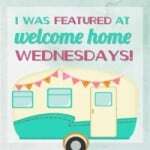 I wanted to let you know that your post has been selected as a Feature for the Welcome Home Wednesdays Link Party!! 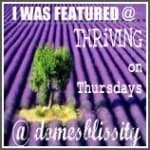 Stop by this morning and see your post linked up and don’t forget to grab a Featured button too!! Many thanks, Lisa!! I really appreciate you stopping by to tell me, thank you so much for the feature too! 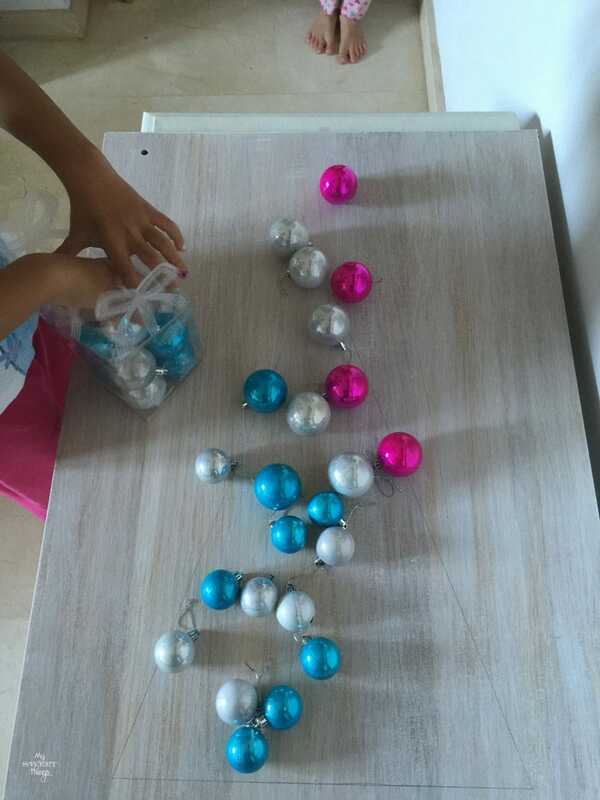 What a great idea, I have so many balls for the tree, indifferent colors that I have chosen over the years, and since I don’t use that color anymore they sit in the Christmas decoration boxes, taking up room, I hate to throw them away, you never know when you’ll need them. LOL Now I know exactly what to do with them so we can utilize them again!!! Thanks for sharing, now my husband won’t have to keep hauling decorations out the attic that we don’t use! He’ll love that! I can imagine your husband would be the happiest man on Earth then! I don’t like having things I know I am not going to use but feel guilty about throwing them away. This is like a liberation! Ah so cute & a brilliant way to save space! Thanks for sharing with #frifree4all. Sorry I am late with my comments, Christmas had taken over 🙂 I hope you enjoyed your Christmas holidays. Thank you for joining in with my link up over the last year. There is a new #frifree4all link up over on my blog now, I hope to see you there. Happy New Year! Don’t worry Hayley, I’m late as well but I really appreciate you stopping by and comment. I hope you enjoyed your Christmas holidays as well, and 2016 is a better year.